Upon reception of an article, the Editorial Staff will screen the article for format and journal scope, originality and potential impact. If the article is not up to the standard format of Horticultural Biotechnology Research, the article will be returned to the author for correcting the format. If the format is according to the requirements of Horticultural Biotechnology Research, then it will be assigned for External Peer Review. For details of Horticultural Biotechnology Research Policy on Open Access, please click here. For details of Horticultural Biotechnology Research Policy on Plagiarism, please click here. For details of Horticultural Biotechnology Research Policy on Article Retraction, please click here. For details of Horticultural Biotechnology Research Archiving Policy, please click here. If authors would like to include figures, tables, or text passages that have already been published in any other online/print publication, in their article, they should take written permission from previous publisher/author before article submission to Horticultural Biotechnology Research. The authors should submit this letter along with manuscript submission. The material received without written permission will be assumed to originate from the authors Horticultural Biotechnology Research will not be responsible for any future consequences. 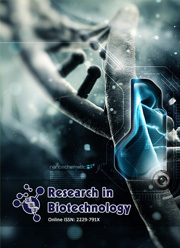 The names and email addresses entered in Horticultural Biotechnology Research website will be used exclusively for the stated purposes of Horticultural Biotechnology Research and will not be made available for any other purpose or to any other party.